know more about a concertina or how to learn to play it or otherwise. Rhosymedre by Vaughan Williams played by the Hawkwood Concertina Band in January 2017. Conducted by S. Ellis. The Lost Chord by A.S. Sullivan played by the Hawkwood Concertina Band in January 2017. Conducted by A.D. Townsend. 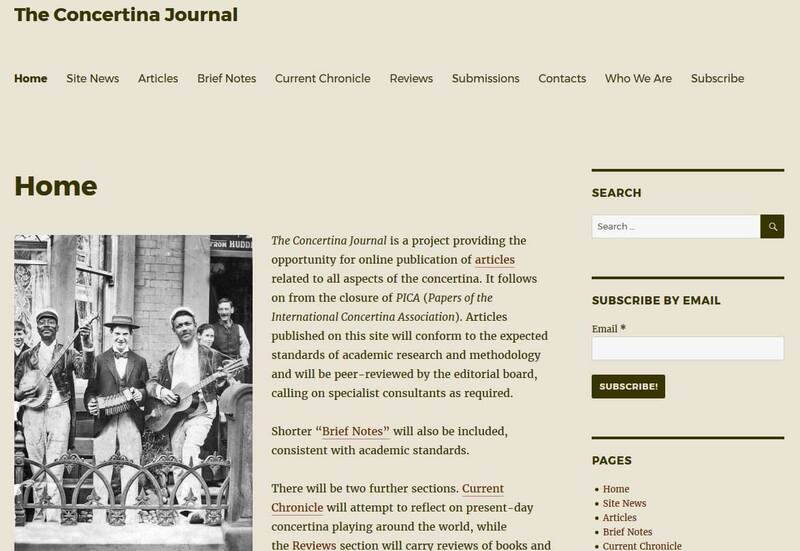 The Concertina Journal is now online. It is the follow up of PICA and only online not in print.